There was a time before computers when an airline pilot actually made all the decisions, pushed all the buttons and levers that lifted an airplane from earthly bonds to soar through the skies to distance places and with skillful precision land safely at its designated destination. Before computers human error caused most accidents whether on land, air or sea. Back then, I measured the skill of my airplane captain by the grey hair on his temples, the swagger of his gait or the well-tailored cut of his uniform. I was placing my life into those hands and I was seeking some measure of comfort. Back then I hadn’t flown a lot and I was young and perhaps fearful of what I had no control over. Basically I had to learn to trust. Fast forward to today. Computers do most of the navigating of airplanes. I’ve flown many times and am at a point in my life where my trust is based less on emotions and more on statistical facts. In a very old detective show called Dragnet, the lead character, Sergeant Joe Friday, was prone to say “Just the facts ma’am”. Facts and truth are comforting, they form a base that is solid, enduring and can be trusted. And that is what I now think we are all seeking in a much divided and torn America. For all of my adult years, I have always gone to bed at night trusting that at the helm of our nation, the Captain of our ship was up to the job…knowledgeable, informed, dedicated to protect and defend me against all adversaries foreign and domestic. Those days are long gone and for the past 2 years I awaken each morning and check to see what madness may have occurred while I was sleeping, what tweet has perhaps threatened my existence. With the new revelation that our illegitimate mob boss Pres has, unbeknownst to him, staff scurrying around removing papers from his desk, editing any information he sees, feeding him only small doses of censored material because they are fearful of what he may do that could harm America, I am afraid. Whoever these people are, they were not elected nor do I know their qualifications. So we have mysterious unknowns running a shadow government protecting us from the Captain of our ship. This does not instill trust. Our government is basically running on auto pilot right now. Who will step up and take the controls when, not if, a major catastrophe occurs? 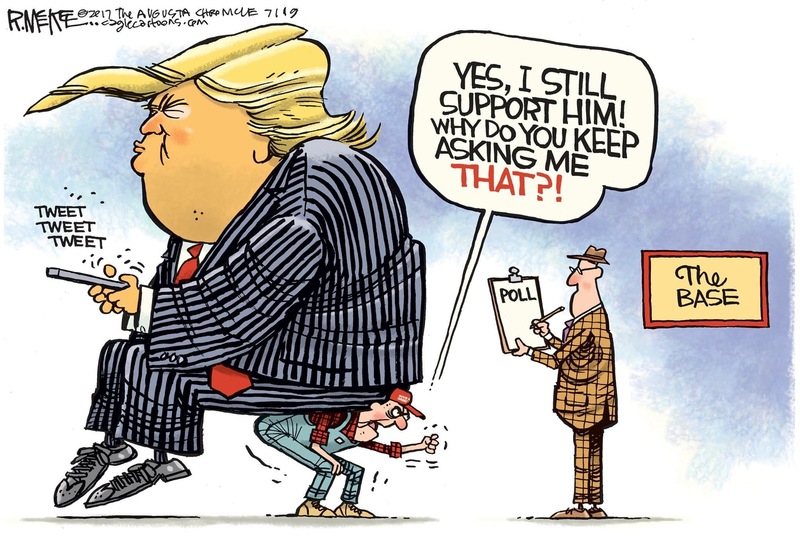 We are rudderless. Surely somewhere within the bowels of an inept Congress there might be one patriot, one brave soul who may bring our ship safely home by being the catalyst for the expulsion of the worst excuse for a president our country has ever endured. May God bless America, watch over us and keep us safe because we are drifting, drifting, drifting with no one at the helm. I’m tired. Mentally, physically and emotionally. Being tired is a relatively common occurrence and to be expected throughout life based on the busyness of our day, how hard we partied the night before, or from the burdens of juggling a busy life in an attempt to be everything for everyone. Tired can be a rewarding feeling, the result of a job well done. Being “busy” can be an emotional escape from the painful things that disturb our existence…a busyness that leaves us at the end of a day dropping into an exhausted sleep and there to hopefully recharge our battery to be armed for another day. 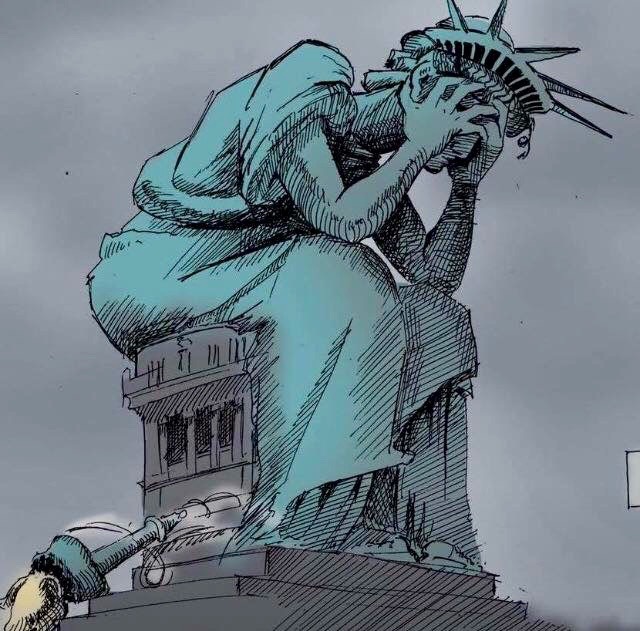 America has been assaulted for the past two years and beaten into a state of exhaustion as we have watched the “norms” of the Presidency be reduced to a heap of ashes. As I watched the stately and solemn tributes being paid to a true American hero, I found myself weeping for what America has lost. Many times I didn’t agree with John McCain’s position, his hawkish nature, but my admiration of the man and what he stood for, the life he lived doing what he truly believed was right, was an honorable one. What a stark contrast from the self-centered egotistical narcissistic child currently playing grownup in the People’s House. This man-child, who everyday demonstrates his inadequacies and ignorance about basic civic and judicial knowledge, is putting every American at home and abroad at risk. And then bombshell after bombshell explodes exposing just how unstable this corrupt president is as Bob Woodward’s new book Fear is released and an anonymous source in the New York Times op/ed page trumpets there is an undercover coupe in place within the White House…staff that scurry around trying to secret from the American public just how broken this administration is. 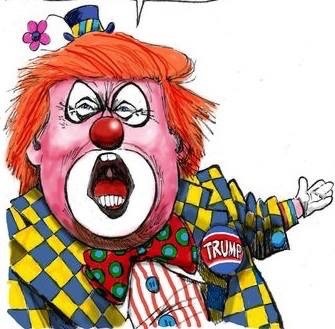 For a long time now I have considered anyone who continues to support and facilitate this unhinged corrupt grifter family as being complicit in the craziness and danger that is the whirling dervish encompassing America today. History will not be kind to them. November is rapidly approaching and if you value some of the basic freedoms of a democracy, then vote! Freedoms that encompass things like being free to love who one chooses, freedom that believes and supports the equality of each person no matter race, color, creed, freedom to enjoy clean air and water, freedom for women to have a choice about what happens to their own bodies. 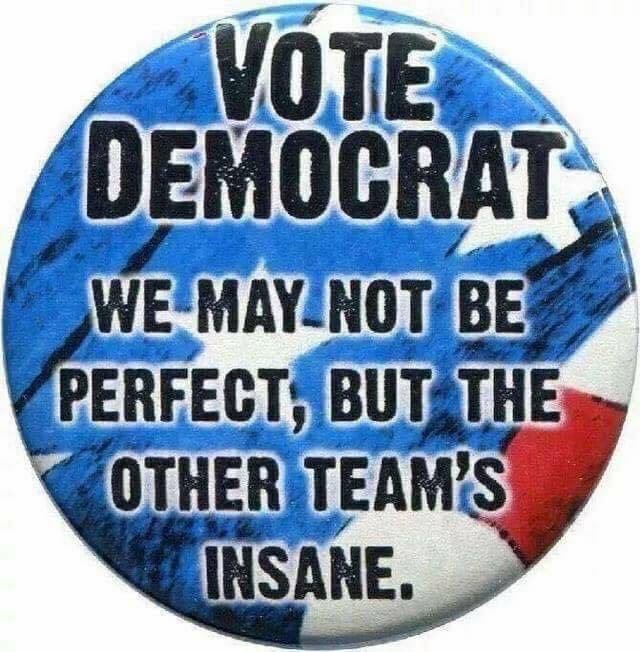 Help register people to vote, drive people to the polls, vote early, vote as if your life depends upon it because it very well may be a life and death issue for many American citizens. I love swamps. 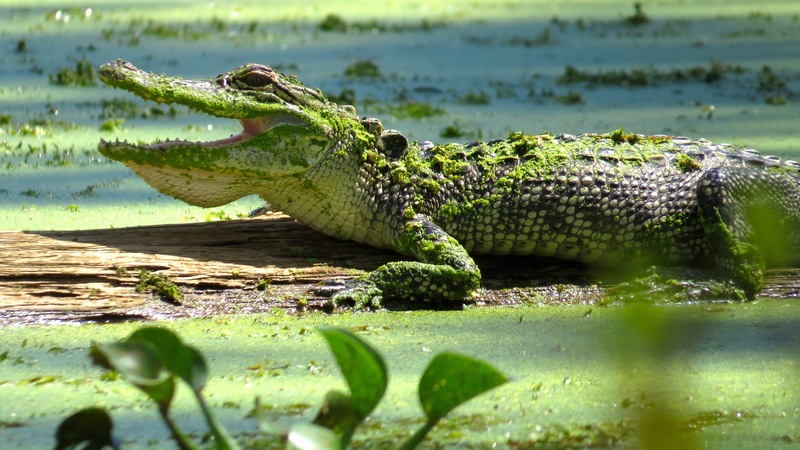 I have traversed various swamps in my day and in each one I enjoyed the beauty of Bald Cypress trees, Tupelo trees, Spanish moss, water lilies, and the slow moving murky waters where a submerged tree stump might be a lurking alligator awaiting his next meal. Best of all though are the magnificent birds that inhabit these scary but beautiful places. 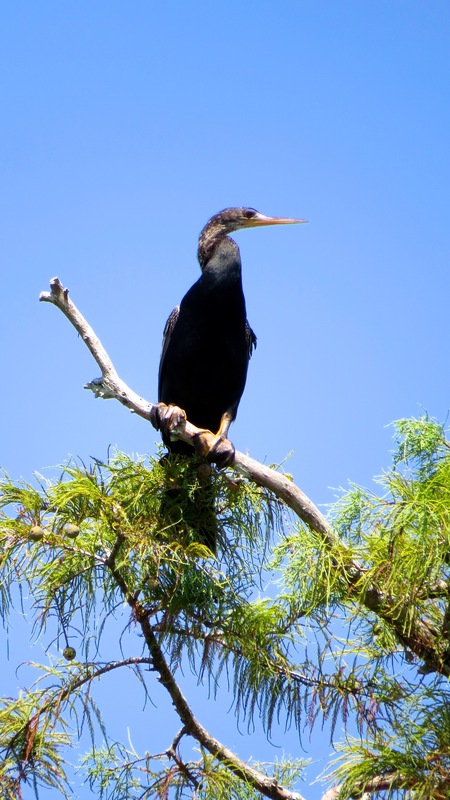 Great and Snowy Egrets, Great Blue, Little Blue, Tricolored and Green Herons, Night Herons, Vultures, Osprey, Anhinga to name a few. 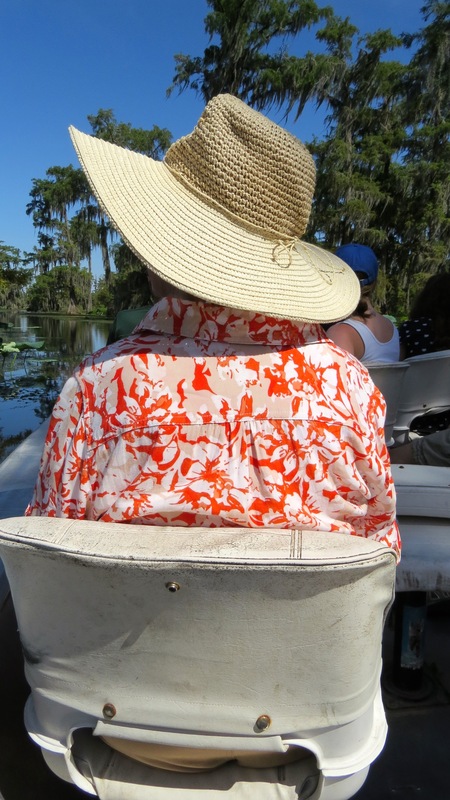 I’ve been in canoes and air boats and no matter what the vehicle, I find these moments with nature to be restorative. They help me remember the permanence of time…how things continue even in adversity, recover from blows that seem to knock the wind from sails only to grow stronger and more beautiful from it all. Forest fires are devastating but the burn gives rise to new growth. A hurricane, tornado or any of the major disasters wipe clean and when the rebuilding comes, it may be superior in many ways. I’ve only experienced one swamp that I didn’t like, one swamp that made me fearful, unsure of survival. A swamp inhabited by bottom sucking leeches and loathsome creatures that cared naught for the beauty of nature, or clean water or clean air, or the well-being of all who inhabited that piece of real estate. 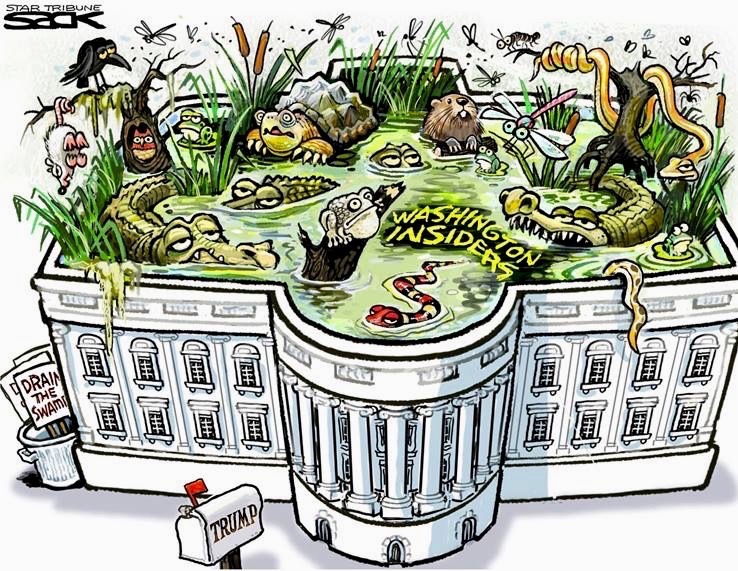 And yes…that swamp is the infamous cesspool that has grown and blossomed like a red tide bringing hardship and adversity to all who abide in America. I don’t believe that all of Washington DC is a swamp, but I certainly do believe that the tRump administration has transformed the People’s House, the White House into a swamp of unimaginable horror. I’ve watched environmental regulations and animal protections wiped carelessly away, the corruption and misuse of our money, your money, the people’s money being squandered frivolously all to fulfill the whim of unscrupulous appointees. Children are precious cargo. From conception to birth through years of learning and life shaping experiences, they are a great responsibility as well as the source of much joy. A poignant memory for me was my arrival home from the hospital with my first-born daughter. Everyone has Kodak moments in their lives. I vividly remember laying her gently on my bed to change her diaper and being overwhelmed with the enormity of the responsibility of it all. At that moment the thought that raced through my mind was …what I did would determine whether she lived or died. That was a heart stopping, brain exploding moment. I was young, barely eighteen, and the weight of that thought catapulted me into dedicating my every waking moment to giving her everything she would need to grow into the beautiful person she has become. She was my world, my everything and from the moment she was born I could not envision my life without her, separated from her in any way. So I find myself quite distraught, heartbroken and tearful imagining the suffering and pain that the parents must feel when they are separated from their children not knowing where they are, who might be comforting them or even if their basic needs are being met. What has America become when we are engaging in practices such as this, practices employed by Nazi Germany when families were torn apart and endured unspeakable atrocities and millions were gassed and burned in ovens, disposed of as trash. This didn’t happen over night. The steps to death, destruction, loss of freedoms are small ones. But cumulatively, they are earth shattering, life altering cataclysmic events. History will not be kind to the people who support this diabolical plan. 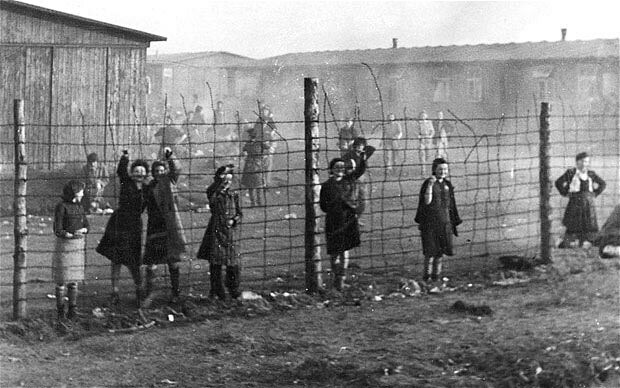 Just as there were no excuses for following orders in Nazi Germany, if one doesn’t protest this inhumane practice, then you are part of the problem and as such will bear the same guilt when history comes calling. 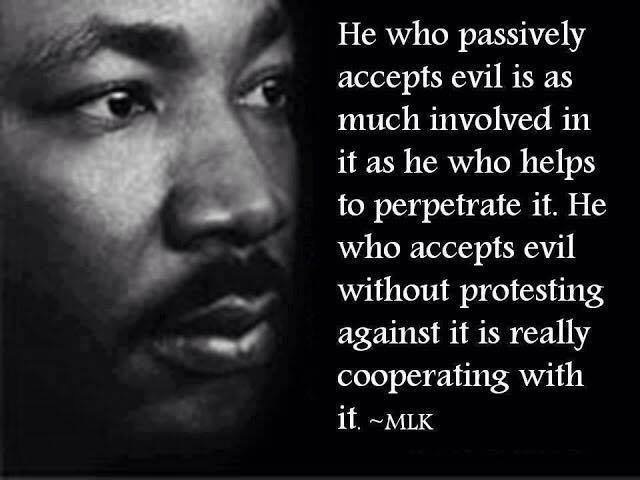 Silence is complicity! And there is a special place in Hell for the creators and enforcers of this horrible tRump policy. Faith is a difficult entity to define. According to Webster, faith is “a belief and trust in and loyalty to God” or “a firm belief even in the absence of proof” or “complete confidence”. But how do we believe in something we can’t see? I have heard and thought that we can’t see the wind yet it exists as evidenced by the trees that sway as it passes or the feel of it on my face or skin. There are many things that I can’t see yet accept their existence. I have faith that the bridges I cross with my automobile will stand firm and erect without collapsing. I have faith when I board an airplane that it will get me to my destination. I had faith with every seed I ever sowed that it would spring forth from the earth and grow into a beautiful larkspur, zinnia or poppy. I want to have faith that the political nightmare America has been enduring will eventually come to an end. I want to have faith that laws apply equally to everyone and that the guilty will be punished for their transgressions. I want to have faith that America will survive this assault on our democracy, our Constitution and the Rule of Law. But as each day passes I find it more difficult. Perhaps I am just weary from worry. Evidence of faith may be in the birth of a baby which in my entire nursing career never failed to move me to tears. Every single nanosecond of cell development has to go exactly right for a baby to be born with all working parts. I have seen the miraculous disappearance of a cancerous tumor accepted as a result of fervent prayer when the actual scientific explanation may be misdiagnosis or an immune system that simply won a territorial battle. Each of us may have experienced diminished faith at some point in our lives. I know I have had moments when I have questioned the presence of a higher power yet revert to prayer when I am seeking solace or help from an entity that many times seems capricious in his or her governance of our lives. I call these times a “crisis in faith”. I don’t want to think it, feel it, and I truly want to believe, but the pragmatist in me jumps up and down screaming the impossibility of a higher power. Yet I still cling to a hope that there is more than this. But my brain will not comprehend nor accept a world where there are people who would deny healthcare or food to the poor, the elderly or children. A world where the color of your skin defines you. A world where men and women who give their all to protect and defend our country end up living homeless on the streets of what is supposed to be the greatest nation on our planet. 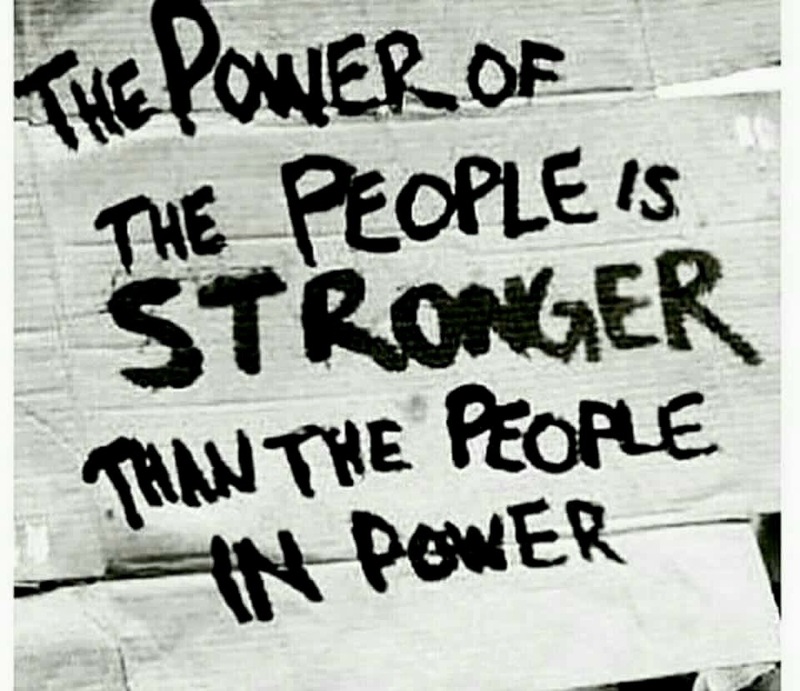 A world where the top one percent own ninety-nine percent of the wealth and through that wealth, lobby elected officials to do their bidding rather than the will of the people they have sworn to protect, defend and serve. A world where bigotry and racism are allowed to flourish. A world where our children are no longer safe in their schools. A world where owning an assault rifle has more value than a human life. A world where children are ripped from their parents and placed in warehouses or in cages in processing centers. But faith leaps up in the form of high school students who refuse to accept that things can’t change and be better. With a small voice that has become a shout that will not be silenced, they have begun a movement that makes me believe that there may be hope for the return of sanity and decency to our world. And only history and time will tell us if America survives. Their road to change begins with one small step. Believe or not. The choice is yours. Erosion. 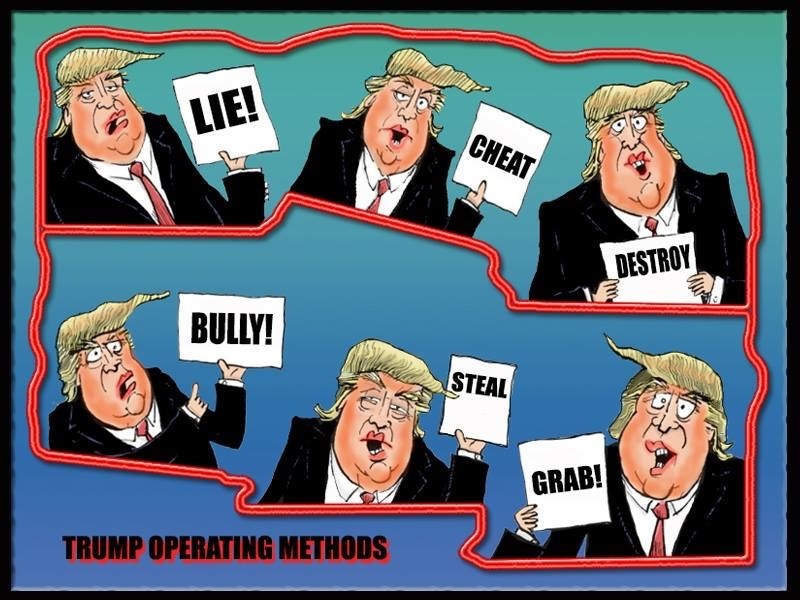 A “bigly” negative word, a word of destruction. As defined by Webster…”the process of eroding or being worn down by wind, water, or other natural agents; the gradual destruction or diminution of something”. Erosion throughout the millennium is a formidable force. It may take eons but eventually erosion wins. Time doesn’t matter to erosion. 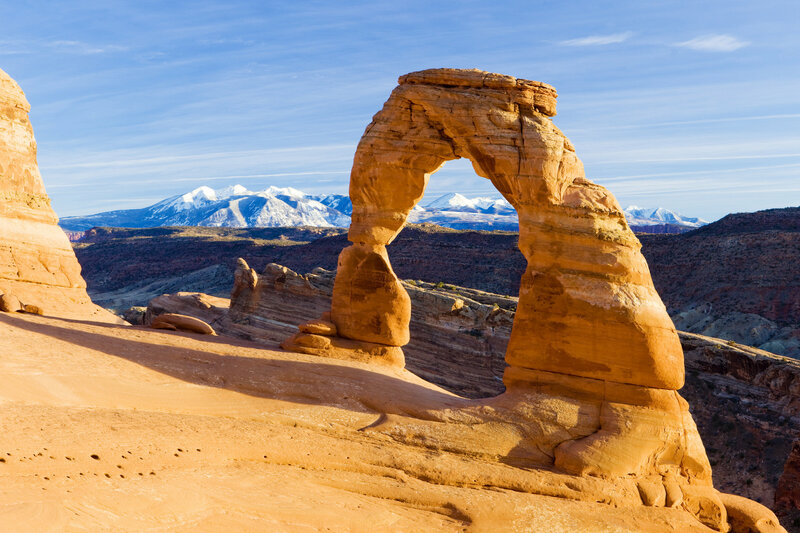 It continues to work using wind and water as a battering ram, slowly but surely eroding the foundation of rock, soil, and mountains turn into dust. A hurricane is a prime example of an eroding force that leaves death and destruction in its wake. For many years my BFF Linda had access to a beachfront home in Pirate’s Beach and we have wonderful memories of fun times spent there. Then one hot end-of-summer day, one of those pesky hurricanes ripped through that home. The ocean charged in to undermine the foundation piers and reclaimed that piece of sand as its own. Back in the 70’s, the erosion of soil treated with pesticides led to a serious reduction in the number of pelicans in our world. DDT was an effective pesticide for ridding crops of unwanted insects. Unfortunately when the rains came and the residue from this chemical washed into our streams, then into rivers, and ultimately into our oceans, and pelicans ate the fish that had ingested some of those pesticides, then and only then did the end result become known. Each Spring the pelicans laid their eggs but DDT caused a defect in the shell-making ability of the pelican. They laid their eggs but when the incubation period began, the weight of the parent bird caused the egg-shell to break. With the banning of DDT in the United States back in 1972, pelicans rebounded and can once again be seen patrolling the beach shoreline. We have a very descriptive word for the erosion of buildings or infrastructure. It is called entropy. Defined as “a lack of order or predictability; a gradual decline into disorder or the degree of disorder or randomness in the system”. In other words…the tendency of something to return to its natural state if nothing is done to prevent it from crumbling. Examples of this would be interstate highways left without maintenance will eventually develop potholes and breaks in the concrete integrity, roofs left unrepaired allow water to seep in causing even more damage to a home’s interior and even an abandoned home starts to sag and has a clear unmistakable facade of despair. Weeds sprout up, paint begins to peel, a capricious wind rips a gutter or roof tile away. Erosion has consequences. The erosion of norms may mean the ultimate demise of democracy and perhaps serious damage to our planet. The unrelenting attack on the media by tRump and now the spread of Sinclair Broadcast Group in gobbling up small media outlets throughout America is disturbing. This company has pre-written propaganda promoting their extreme right conservative agenda attacking legitimate news media outlets and over this past weekend we were witness to a prime example of this at this link: https://www.hollywoodreporter.com/news/sinclair-broadcast-group-slammed-video-montage-local-anchors-reading-anti-media-script-1098838. The telling of lies and yelling “fake news” has led to an erosion of trust within our nation. The rapidity of these falsehoods is staggering and tracking down their veracity is exhausting and may result in resigned acceptance through sheer lack of energy to ferret out the truth. If you aren’t alarmed at what is swirling in the political atmosphere encompassing America right now, then you just aren’t paying attention. Now is the time to throw away the labels of Republican, Democrat or Independent and stand up as Americans to defend, protect and ensure that our democracy and the Rule of Law will remain intact for future generations. Americans first, country before party. Who is Mr. Lock? Mr. Lock is a term used by school personnel to warn and set into motion defensive measures to thwart a shooter coming into a school. A simple name designed to start a drill without frightening young children. How sad that our society has dissolved to such depths that school children are being taught life skills for survival. When I was a young child in grade school it was the height of the cold war and there were two types of “drills” that we learned in school. The first was the innocuous standard regularly scheduled fire drill and viewed as a lucky diversion from our ordinary school routines. The other “drill” was much more ominous. We each had to take a defensive position under our desks putting one hand behind our neck and hiding our eyes into the other folded arm. 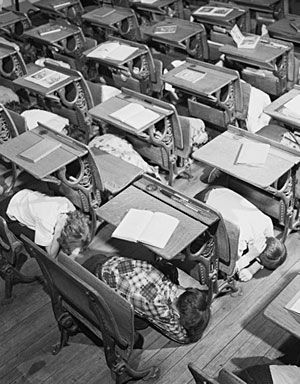 How silly these doomsday drills were for how could this position under a wooden desk possible protect us from a nuclear blast or radiation fallout. But we were required to practice these on a regular basis. We were too young to understand the ineptitude of this drill and too uninterested to question the why of it all. Unfortunately for todays’ children, they are all too aware, and experience on a regular basis, all kinds of survival drills. They go by different names though…intruder drills, lock down drills or for the very young children…hide and seek or the silent game. 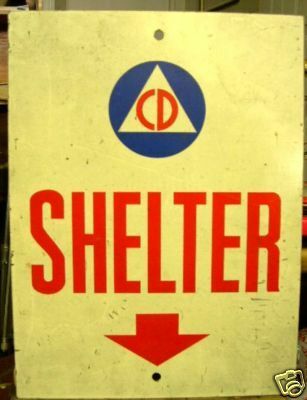 Other survivalist ideas are to shelter in place and the video I recently had to watch at work was titled Run, Hide, Fight. The running part is obvious as is the hiding part but fight? What am I suppose to use to fight? A stethoscope, a syringe? What is a second grader to use…pencils, crayons, erasers? No innocent schoolhouse tool can stop an intruder armed with a semi-automatic AR15 from mowing through humans like a threshing machine through a field of wheat. Carnage is certain. It is time to stop the killing. Time to pass reasonable gun laws that allow the gun people to have their handguns and rifles but removes killing machines from the hands of would be assassins. No one’s second amendment rights outweigh the life of one human being. 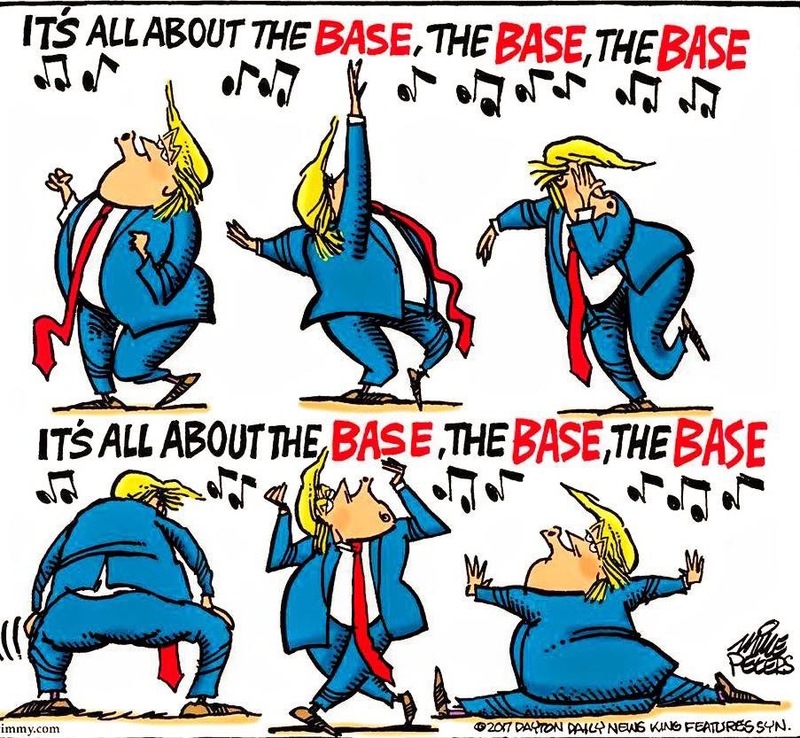 No way, no how, on any planet is that right. On Saturday, March 24th hundreds of thousands of like-minded Americans will be marching. Marching for life. Fueled by young adults whose lives have forever been changed when they ran, hid and died trying to escape a flurry of gunfire that killed seventeen of their fellow classmates and forever traumatized and changed the course of their young lives. They have harnessed their grief and anger launching it into a nation wide movement seeking to turn the tide on senseless loss of human life. If you are moved by their fervor, walk with them. It will make you feel so whole, so hopeful, so “right”. Just walk. I want to keep track. 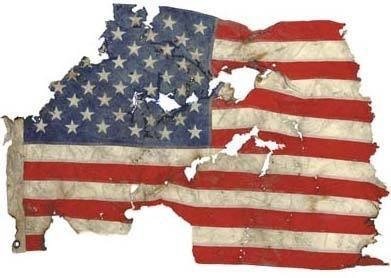 I think it is important to know just how many things have been ripped from the fabric of America…just how many travesties have been thrust upon our Constitution, our environment and how many civil liberties are being trounced by our Liar-in-Chief. –The guarantee of clean water, free of chemical dumps and clean air being threatened… reference the Arkema chemical site pouring toxic waste into the environment as just one example. –The normalization and acceptance of lying and prevarication second to none in the history of our country. Estimated lies over first 227 days of presidency are 1,114. –A different set of rules for Republicans than for Democrats – the steadfast refusal of Republicans to give Merrick Garland a hearing just because he was nominated by Obama and using a lame excuse of it being an election year. Yet they have blinders on about the ongoing criminal investigation into the Trump administration and his associates. –Ordering a ban on transgender personnel in the military and using the excuse of it being cost prohibitive. When compared, the cost of Viagra and erectile dysfunction treatment for male military personnel is far in excess ($84 million compared to $8.4 million annually) of transgender expenses. I am also certain that there are many, many more that I have not listed here. And personally, I have had the painful loss of a relationship with one of my sisters. All of the others only affect me indirectly…my life really isn’t impacted that much simply because I am an older white educated female with a good job, children who love me and I know they will step up to the plate and help me if needed. But the loss of a sister relationship is a gut punch. I’ve tried to mend those broken fences, but just as I pulled away after the 2016 Presidential election because of depression and my own inability to be around those who voted this horrible human being into the Presidency, I can only assume that she may be in much the same place right now as I was then. The pain is great and I hope that some day, before one of us departs this world, we can once again laugh and bathe in the camaraderie of sisterhood.